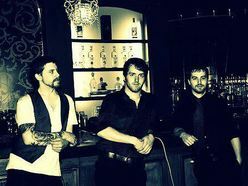 Coup D'etat is made up of Phillip Sloan on bass and vocals/harmonica, David Stefanek on lead guitar/slide guitar and Kamaron Lockwood on drums/vocals/extras. We are from Indianapolis and are thriving to create a new music scene/genre in our hometown. Our primary goal is to be limitless to our craft and change the lives of everyone that hears our music. Coup D'etat musical overthrow is our name and we will bring meaning and hope back into the overly extorted musical scene worldwide!